When homeowners want premium hardwood selections, they know to come to My Flooring America of Sugar Land. Though traditional hardwood’s natural beauty typically complements any room, moisture-prone areas such as basements, bathrooms, and kitchens aren’t ideal spaces for this flooring material. If you’re looking to replace the flooring in any of these areas , our engineered hardwood in Sugar Land, TX, is an excellent alternative. Beloved by homeowners and flooring enthusiasts alike, hardwood offers a timeless look and an enduring charm that few flooring materials can replicate. However, if you’re addressing flooring in your bathroom or kitchen, it makes sense to choose a material that's designed to perform reliably well in humidity and temperature fluctuations. Visit our expansive showroom for engineered wood flooring that will give your bathing or cooking space the look of natural hardwood and will perform well to boot. With so many different qualities to consider such as color, grain, and species, finding the right choice for your space could be somewhat overwhelming. That’s why our knowledgeable specialists are always available, ready to help eager shoppers find a flooring solution that perfectly meets their needs. We’ll even coordinate your engineered hardwood installation. No matter what the extent of your needs, we’re here to help. Engineered wood floors closely resemble traditional hardwood flooring. However, they are substantially more resilient. All wood floors contract and expand some due to temperature changes. Our treated selections are designed to minimize these reactions to ensure your new flooring maintains its strength and sturdiness long after the installation. Strong to the core, our engineered wood flooring is made from several layers of traditional hardwood fused together and treated under intense heat and pressure. This unique treatment allows them to resist sudden humidity and temperature variations easily. 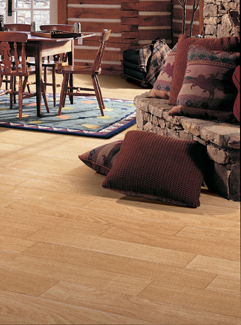 Not only are they crafted uniquely, but these flooring choices can be floated, glued or stapled into place. Speak to one of our keen specialists to determine which installation method would best suit your needs. Our commitment to our customers doesn’t end once they’ve found a selection that speaks to them. Turn to our skilled installation crew for a comprehensive engineered hardwood installation. No matter what you’re looking to achieve with your project, we’re prepared to lay your new selection perfectly into place. Put your installation needs in our capable hands and we’ll give your space a flooring solution that offers the look you want and the performance you expect. Contact our flooring showroom to discover all of the engineered hardwood options we have available. We proudly serve homeowners in Sugar Land, Missouri City, Stafford, Fort Bend, and Sienna Plantation, Texas.